Can you imagine what it would be like for the Wright Brothers to see how far their inventions have come? What would they think if they could see how far imagination and innovation have taken their fledgling efforts? As always, science fiction leads the way when it comes to design and the future. But what happens when entertainment works to reflect the real possibilities attendant to aerospace? You can end up with some very exciting and memorable designs. 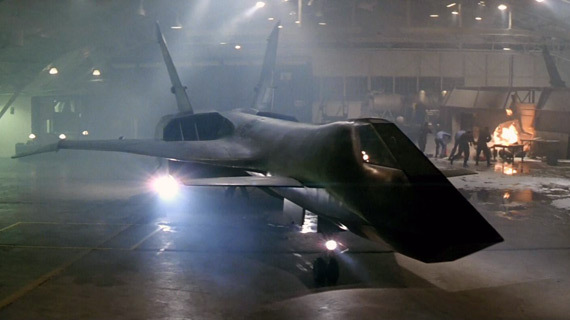 Here are a few of my favorite airplanes from the past forty years of sci-fi film and television. 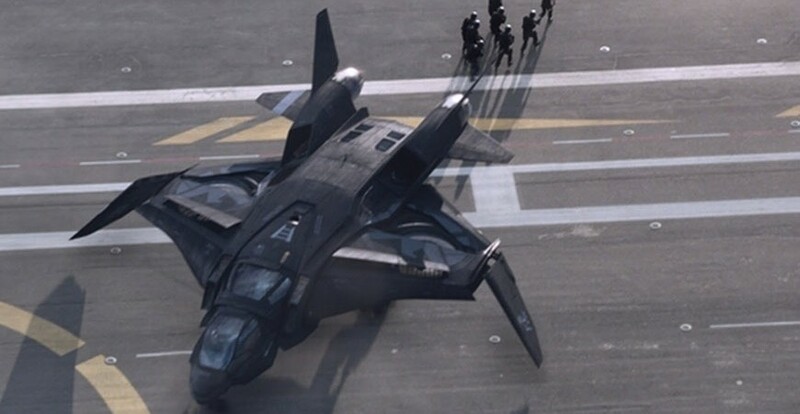 For me, this sleek personnel carrier was the highpoint of The Avengers. It really looked like it could fly. It was as thought the production designer got access to some top secret DARPA aerospace plans and decided to put them in the film. I hope we get to see more of this cool concept in the inevitable sequel. 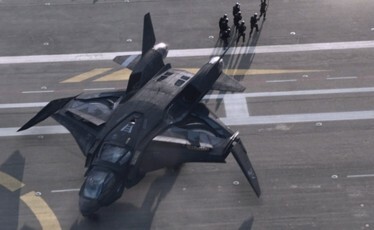 Image above: The twin fan VTOL Quinjet on the deck of the Helicarrier in The Avengers. 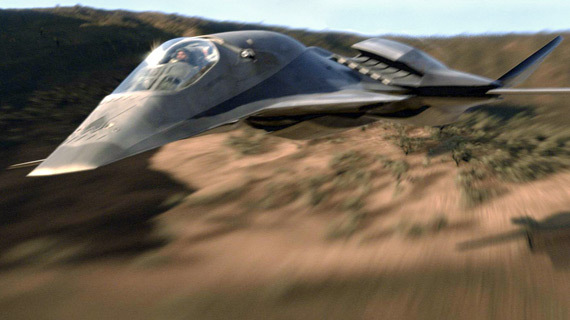 The Talon performs an exercise over the desert in an early scene from Stealth. I have already stated in another Top 5 article that Stealth is an underrated film. I really enjoyed it at the time. 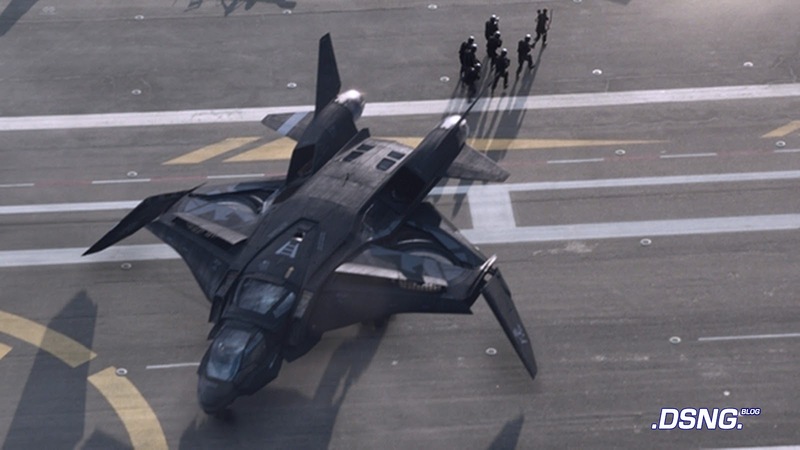 One of the best aspects of the film is how seamlessly the CG effects integrated into the live–action plates –especially on the deck of the aircraft carrier. 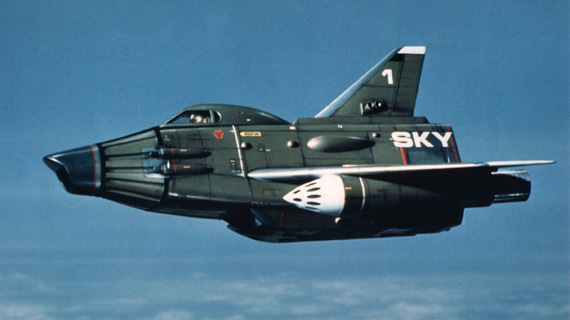 These jets were extremely futuristic and well-realized. It will be interesting to see if the design of real jet fighters head in this direction. The MiG-31 in a Russian hangar right before it’s stolen in Firefox. Firefox had a serious impact on me when it was released in the early 80’s. The Clint Eastwood film about a veteran pilot sneaking into Russia to steal a super-advanced, thought-controlled fighter was tremendously intriguing. 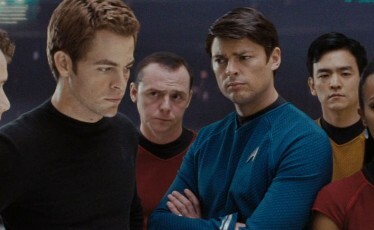 However, it was the final third of the film that I really paid to see. With visual effects by Star Wars whiz John Dykstra and his team, the MiG-31 was really brought to life. I had never seen anything like the amazing combat sequences. There was a sense of speed that few films had ever captured. As for the design, the plan was sleek, mean looking, and believable. This is the 3-person version of the Light Jet; there was also a 1-person craft. I remember hearing the ‘ooohhs’ and ‘ahhhhs’ of the crowd when this baby is first seen launching from the deck of Clu’s carrier. I was right there with them. I hadn’t seen a flying vehicle design this great in a long time. There was something about the the wingspan and the V-shaped tail that looked practical and interesting. This is, of course, combined with the amazing Tron look and feel of glowing strips and slick, shiny surfaces. 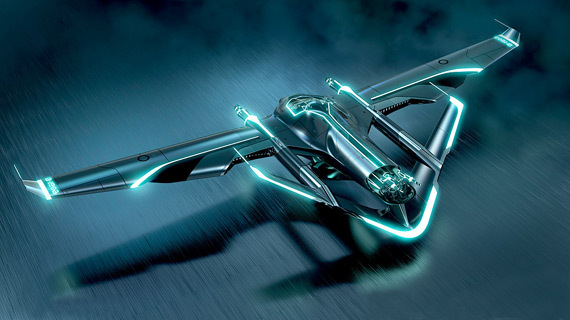 If you want to see more great flying craft from The Grid, check out the animated series, Tron: Uprising. As a kid, I loved the design of Sky 1 in the British TV series UFO. I have to include this plane for Gerry Anderson’s UFO because, while it was perhaps not the most aesthetic pleasing, it was amphibious. 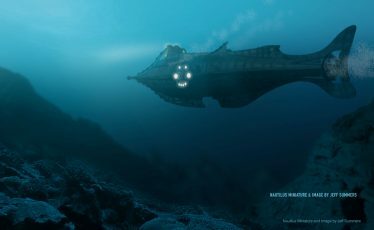 It attached to the front of a submarine and launched from the depths. What a cool concept! After breaking the surface and climbing into the air it would cruise the skies in search of alien invaders. While the show was produced in the late 1960’s, it featured visual effects by the amazing Derek Meddings. Some shots literally looked real. It was awesome. Check out UFO on DVD or on YouTube! 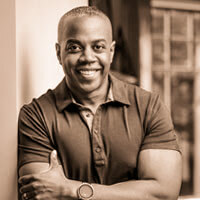 Writer, director and production designer Jeffrey Morris founded FutureDude in 2010 to bring humanity and intelligent storytelling back to sci-fi entertainment.